Am I A candidate for Latisse® eyelash treatment? Latisse® is a safe and effective treatment for most healthy patients. As it is only available by prescription, a consultation with Dr. Tomar is required to determine your eligibility. Some patients with allergies may not be excellent candidates for Latisse® treatment. Your consultation with Dr. Tomar addresses any concerns and answers additional questions. 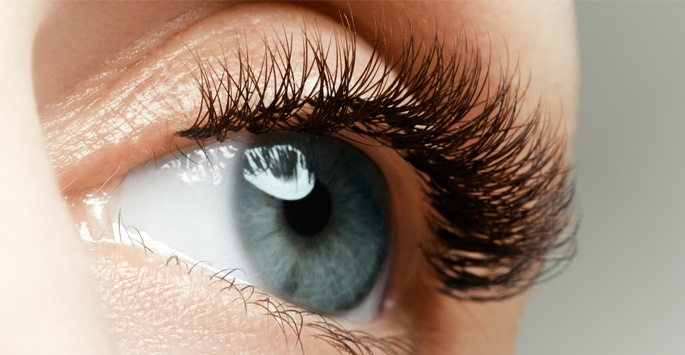 Latisse® affects the growth phase, called the anagen phase, of the eyelash life cycle in two ways. First, it elongates the phase, allowing your lashes to grow longer over more time. Second, it stimulates neighboring hair follicles which increase the density of your lashes and create a thicker, fuller look. There are no major side-effects of regular use of Latisse® to stimulate eyelash growth. The most common side effect noticed by less than 5% of users is minor itching and redness around the eye. This side effect is short-term and goes away over time. Dr. Tomar discusses any other potential concerns during your personalized consultation. As you continue to apply Latisse® treatments at home, you will notice the growth and density maintained long-term. Continued treatment is safe for most patients. It is important to contact Dr. Tomar immediately if you develop an eye infection or trauma, undergo eye surgery, or develop any reaction, particularly of the eye or eyelid. Latisse® treatment is considered an elective course of treatment. As such, most health insurance policies do not cover the cost. To help ensure Latisse® and other cosmetic dermatology options are affordable and accessible to all, Supriya Dermatology offers financing options with CareCredit®. Other forms of payment accepted include cash, personal check, and most major credit cards. If you have a question about the cost of Latisse® treatments in West Palm Beach, FL, please contact a friendly member of our staff. Dr. Supriya Tomar is a board certified dermatologist at Supriya Aesthetic Dermatology in West Palm Beach, FL provides exceptional cosmetic dermatology solutions for patients in Jupiter, West Palm Beach, and Palm Beach County. Contact us today to schedule your Latisse® consultation appointment today.